The Men's Yamaska 3-in-1 Jacket will keep you ready for any weather with a fully seam-sealed outer softshell jacket that's waterproof and breathable along with the removable insulated hybrid jacket liner that can be worn on its own or layered with the outer shell for extra warmth and protection. This high-performance jacket keeps comfort in mind, with extra collar padding for coziness, articulated elbows and ergonomic sleeves to help with movement and thumb exits to keep your hands free. 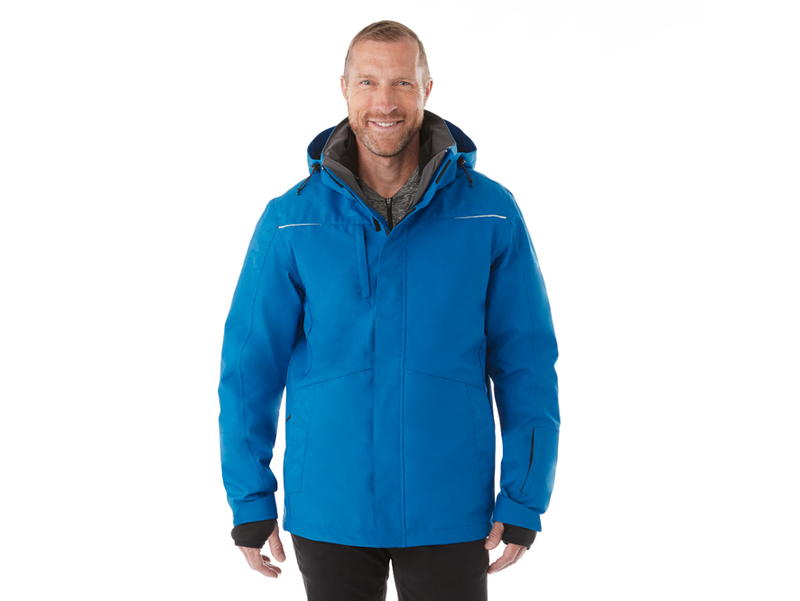 Added features like easy grip zipper pulls, a detachable hood, elastic drawcords at the hem, interior media pocket and hidden pockets at the sleeve and interior make this jacket highly functional. The outer jacket has an on-trend graphic pattern and reflective elements. FABRIC: 100% Polyester mechanical stretch woven bonded to 100% Polyester tricot knit with waterproof (8000mm), breathable (500g/m²) membrane and water repellent finish, 160 g/m² (4.7 oz/yd²). DECORATION NOTICE: HXD, Transfer, Laser, and Deboss are only available on the outer shell. Main liner body fabric only accepts Embroidery and Applique. HXD is available on the liner contrast fabric.